Interesting and quick view from Luke Wroblewski on adapting design to the multitude of screens in use. Lovely little update on The Guardian’s graphics for their football reporting. 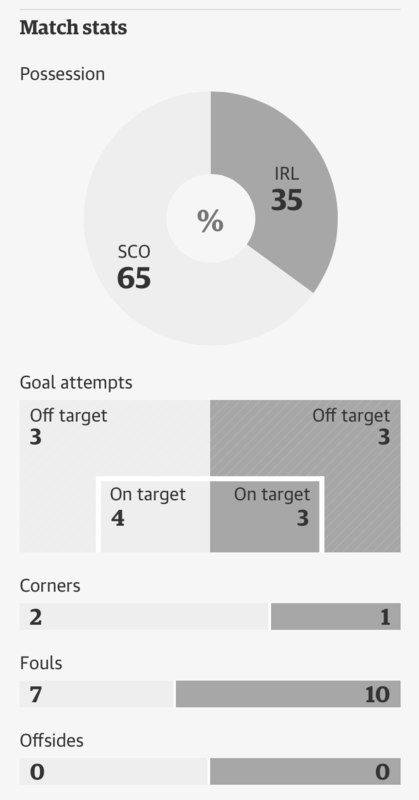 Just the addition of the goal shape and putting the on target figures inside provides such easily interpreted information. A small thing but it leapt out at me today.